Most Beautiful Places To Visit Before You Die! HomeAsia9 Most Beautiful Places to Visit Before You Die! How to achieve what you want? In a sense, it is very simple: you make a wish list and devote time and effort to achieving your goals. Never listen to skeptics and have no doubt that much can be achieved! Studies have proven that travel makes you smart and healthy. It’s time you grab a piece of paper and pencil to list down the most beautiful places in the world to visit before you lose your health. There is a world of beautiful places out there waiting for you to explore them. You deserve more than just watching the wonders of the world on National Geographic Channel via the Cox TV packages you had picked for yourself. So here is the list of Most Beautiful Places to Visit Before You Die! Carved by the Colorado River, stretching about 200 miles, the Grand Canyon is another geological wonder of the world. There is actually a lot to see so make sure you have plenty of time at hand as you visit this place. Start from exploring the massive gores. Guide companies take visitors to white water rafting trips too. 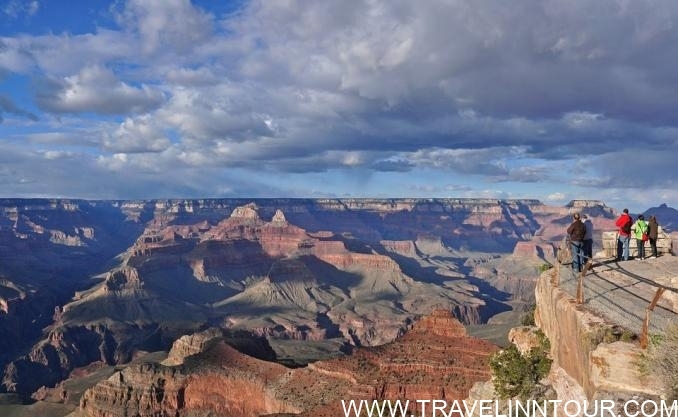 The best time to visit the Grand Canyon is March through May and then September through November. The crowd is slim during these months and the temperature is cooler. 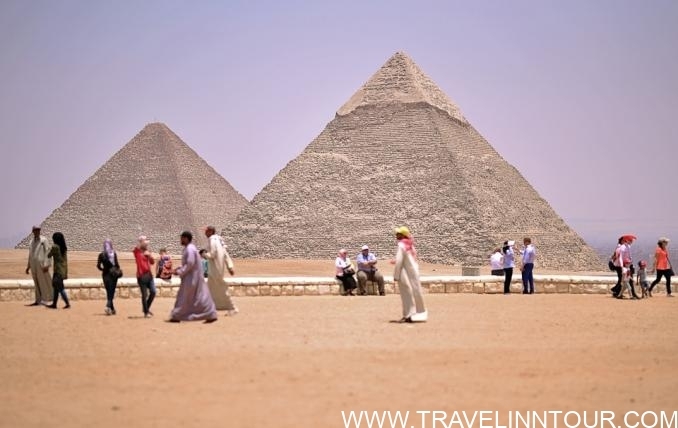 Pyramids of Giza – lying outside Cairo are simply legendary. They were built as the final resting place for pharaohs. These pyramids are one of the 7 wonders of the world. Since the land is huge, most visitors prefer hiring a car or taking a tour to explore the place. Before you head out, make sure you read the history of these pyramids. The project of the first pyramid started in 2550 B.C. by Pharaoh Khufu. His pyramid is the largest one. The second pyramid was built by Khafre, Khufu’s son. Menkaure was the one to build the third pyramid, which is the smallest. 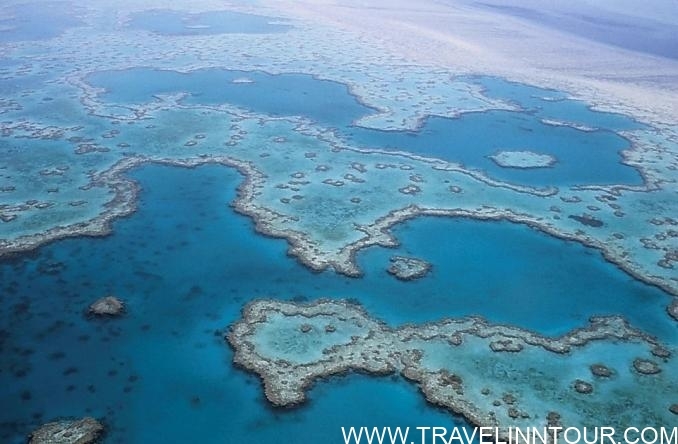 Great Barrier Reef is the world’s largest coral reef but that’s not the only reason why it’s famous. This thing of beauty is home to dolphins, a variety of fishes, sharks, and turtles. Apart from marine life, it has over 3,000 individual reef systems and coral cays. All these qualities make it one of the most sought-after destinations in the world. The best part is that you don’t just get to enjoy the picturesque tropical islands but experience activities such as snorkeling, self-sailing, scuba diving, whale watching, aircraft tours, cruise ships, helicopter tours and even swim with the dolphins. If you are a fan of tennis, this should be in your bucket list. 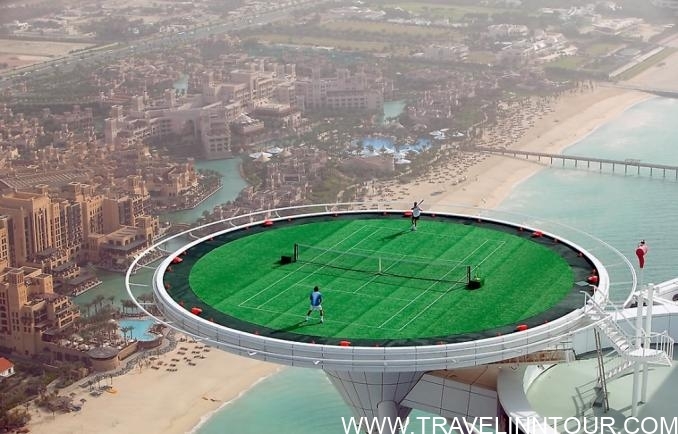 It’s the world’s highest tennis court located on Burj Al-Arab, Dubai, which we all know is one of the highest hotels in the world. It is almost 1,000 ft. in the air. Primarily, this field is a helipad. However, in 2005, it was temporarily converted into a tennis court. Tennis stars Roger Federer and Andre Agassi were invited to a tennis match on this court. It is a massive salt flat. 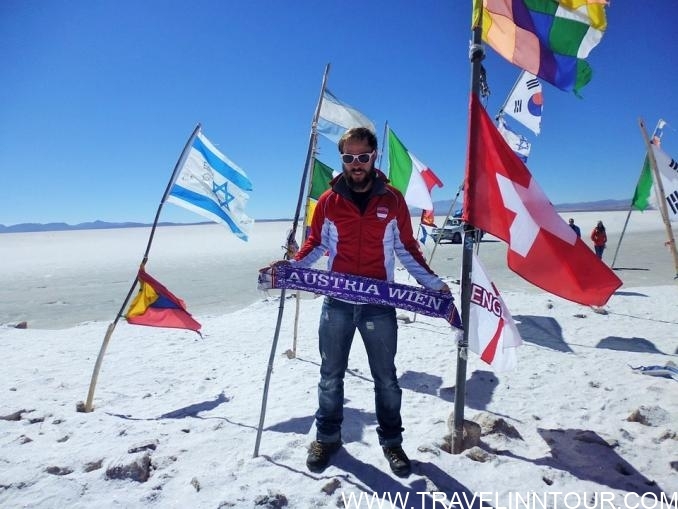 In fact, it’s the largest salt flat in the world spanning 4,086 square miles. When the lake dried, it left this desert-like land behind. You will landscape of bright white salt and rocks. The wildlife here is rare because of its unique ecosystems. However, it harbors a lot of pink flamingos. There are certain times in the year when the lakes overflow and a thin layer of water surround the flat and you can see the reflection of the sky right through it. Since it is salt, it is also a site for the extraction of salt and lithium. Don’t worry, you will find a place to stay if you come here to visit. This landscape is also one of the first salt hotels in the world. 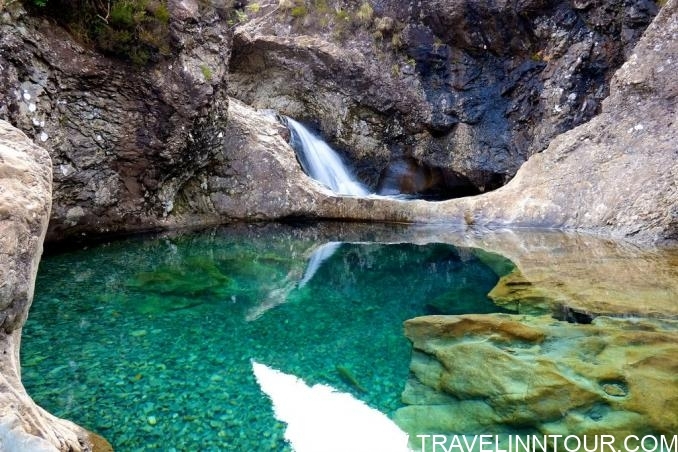 There is a place called Fairy Pools in Cuillins Hills, Isle of Skye in Scotland. It’s a series of cold and clear waterfalls. Visitors from all over the world come to explore these blue pools. Some are even brave enough to jump into the cold water and take a swim. You must follow a gravel path as you walk to the pools. The first waterfall has the highest fall. Its pool is the deepest too. As you work your way up the river, you will pass by multiple small pools. Also known as Ocean Flower Island, the Flower Ocean is truly a scene of beauty. 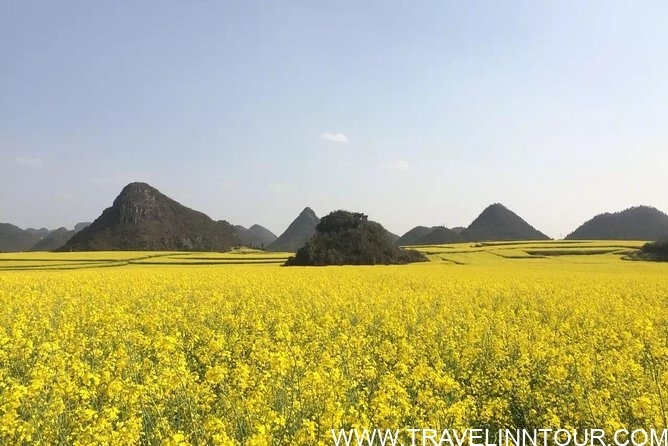 This flower field is located in Luoping, a small county in Yunnan, China. It’s recommended to go there during spring. Literally, it’s like an ocean of yellow canola flowers is emerging from the earth creating a sea of flowers. These flowers are then used for producing Canola Oil. It is a 50 km stretch of coastline, which is a popular holiday destination. Its pastel fishing villages, cliffs, and a shoreline dotted with small beaches are worth exploring. 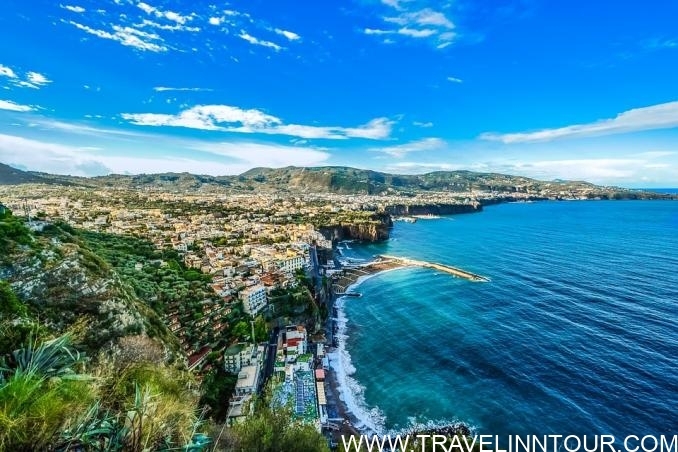 Why not learn how to live an enticing life from Italians themselves? 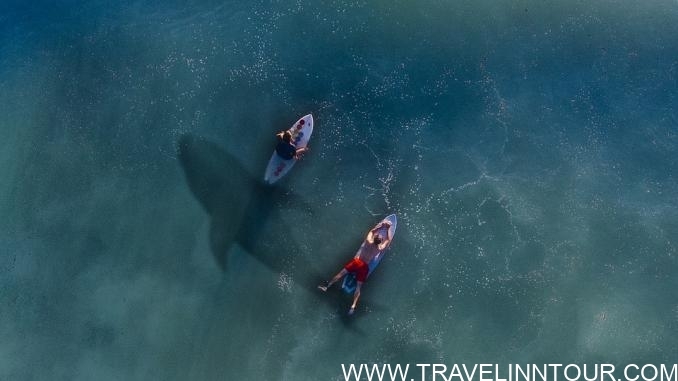 What is there to do: swim, but watch out for sharks in the Galapagos. Spend the day in the clear waters of the Galapagochos diving between some of the world’s most dangerous predators Sail among beautiful seascapes shining in the play of light and water, filled with fish of various shades. Here there are three main ocean currents, so the diversity of marine life is especially noticeable here. Such a wonderful adventure should not remain outside the lists of the main desires in life. And even if swimming with sharks makes you excited, that’s okay. Believe me, sharks are great creatures that have a lot better choices for dinner than you. So what are you waiting for? Quit wasting time calling Cox customer service and plan a trip of these wonderful places as soon as you can. Life is short, you know!